ABCD is a parallelogram. 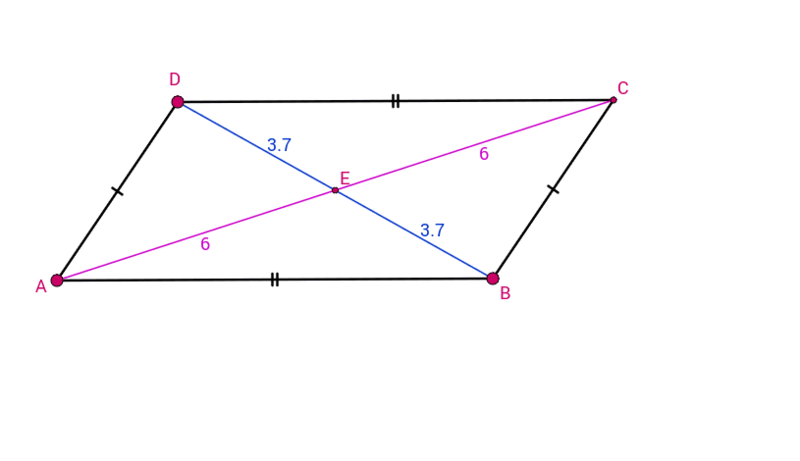 Its diagonals intersect at E. Drag points A, B, or D to adjust the parallelogram. 1. What do you notice about segments AE and CE? Change A, B, and D to change the size and shape of the parallelogram. Is this always true? 2. What do you notice about segments BE and DE? Change A, B, and D to change the size and shape of the parallelogram. Is this always true? 3. Sum up your discoveries in 1-2 sentences.